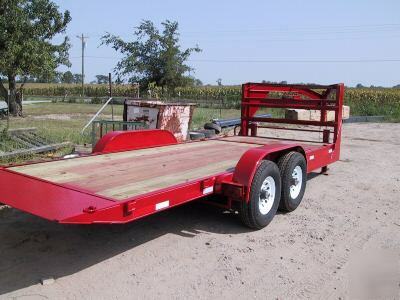 Thank you for inquiring about our trailers. Our manufacturer is now in their 24th year as a registered trailer manufacturer. We specialize in custom designs to your specifications. 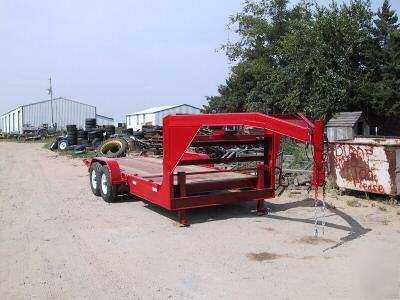 We offer anything from small golf cart trailers to a heavy tandem dually gooseneck. 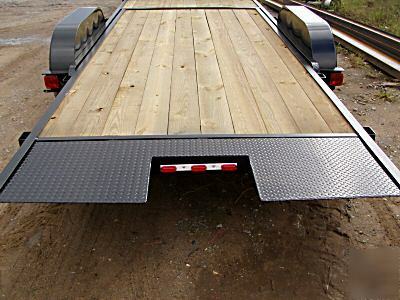 We believe in building a high quality trailer at a competitive price. We look forward to being of service to you, now as well as in the future. 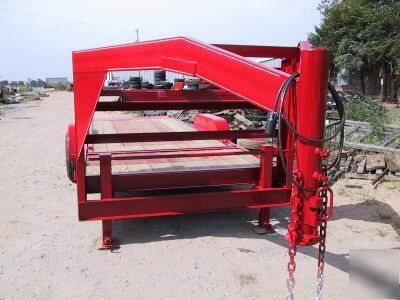 It is ideal for skidsteers, scissor lifts, boom lifts. The stationary part at the font allows you to haul attachments or equipment while the tilt bed gives you ease of loading. Two -7000lb Brake Axles 14,000 GVWR. We also offer the option of three 7,000# axles or dual tandem 10,000# axles. Adjustable 2 & 5/16 gooseneck or 5th wheel hitch. Your choice of color, eg. John Deere green or yellow, Massey Fergoson red, CAT yellow, black, etc. 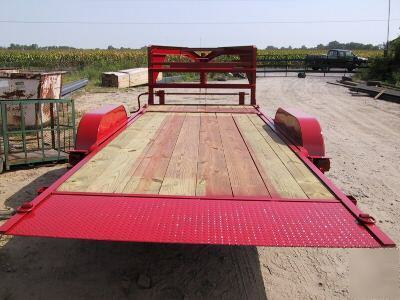 4 stake pockets on each side and 6 D Rings welded on the bed for securing equipment or cargo. We offer the option of a rear light bar shown below, check out my Store for pricing. I have drivers that would deliver or meet you somewhere along the way. 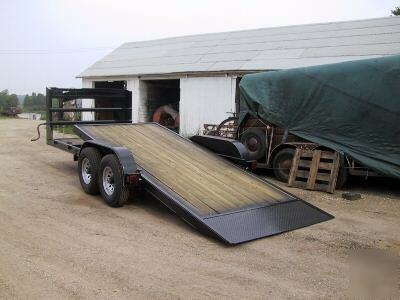 Check out my Store for other trailers and trailer parts.